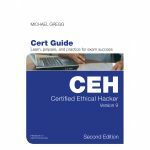 EC-Council Certified Ethical Hacking (CEH) ensures the delivery of knowledge regarding fundamental and advanced security threats, evasion techniques from intrusion detection system and countermeasures of attacks as well as up-skill you to penetrate platforms to identify vulnerabilities in the architecture. 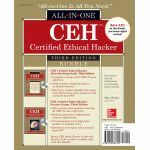 CEH v10 update will cover the latest exam blueprint, comprised of 20 Modules which includes the practice of information security and hacking tools which are popularly used by professionals to exploit any computer systems. CEHv10 course blueprint covers all five Phases of Ethical Hacking starting from Reconnaissance, Gaining Access, Enumeration, Maintaining Access till covering your tracks. While studying CEHv10, you will feel yourself into a Hacker's Mindset. Major additions in the CEHv10 course are Vulnerability Analysis, IoT Hacking, Focused on Emerging Attack Vectors, Hacking Challenges, and updates of latest threats & attacks including Ransomware, Android Malware, Banking & Financial malware, IoT botnets and much more.